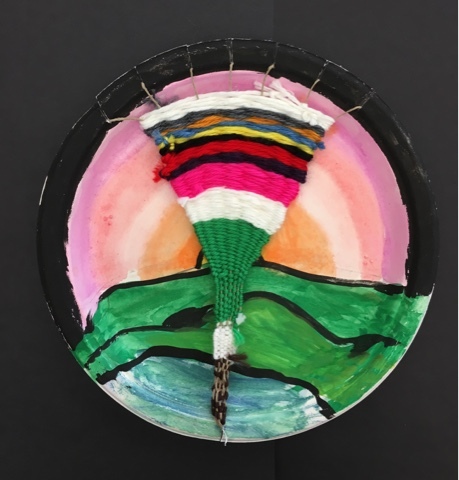 3rd Grade Artist have just wrapped up a school wide fiber arts unit. 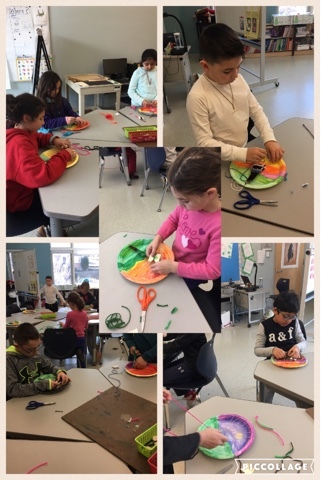 Each student created their own loom using a paper plate. 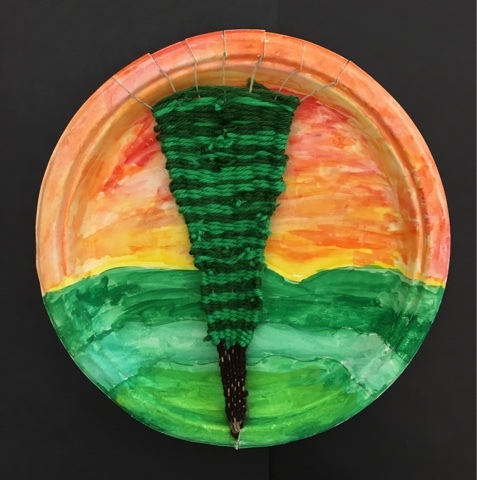 They painted hilly landscapes and then created a woven tree in the foreground. 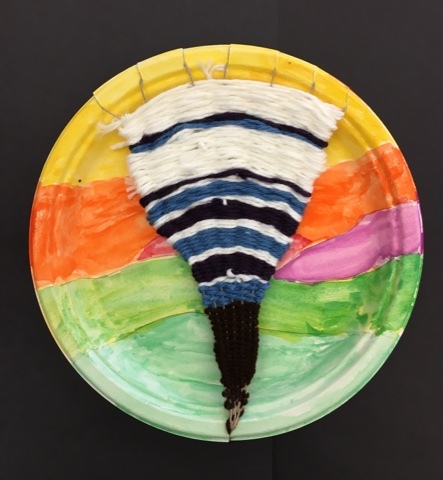 These students experimented with patterns, textures, and design as they brought their tree landscapes to life. Check out 3rd graders at work and a few of their finished products!